Our colorists’ secret weapon for maintaining vibrant hair color between applications? Two words: Tint Rinse. 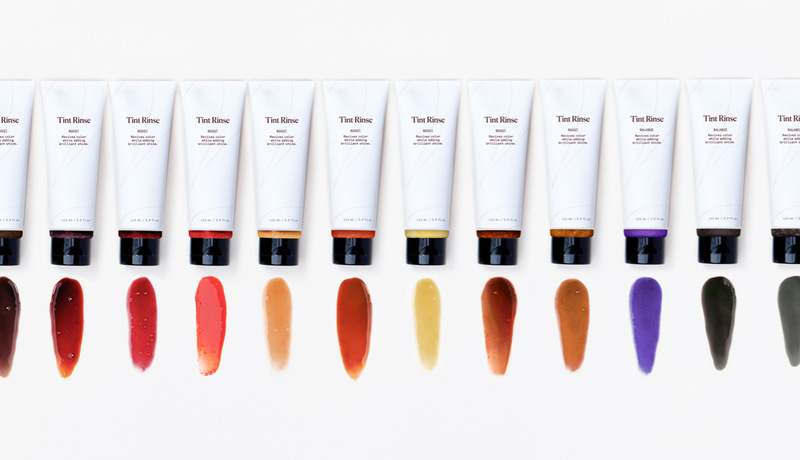 Tint Rinse is a saving grace, magic maker, and color booster all in one. Whatever you like to call it, it’s simply one of those top-shelf favorites that’ll make you wonder how you ever did without. Read on to discover the many, many talents of Tint Rinse. What is Tint Rinse and why should I use it? Tint Rinse is a temporary, pigmented treatment that is salon-grade, effective, and super easy to use at home. We have 12 different shades all designed to cater to your color needs. Tint Rinse is divided into two categories: “Boost” and “Balance.” The Boost category helps make your color pop, adding vibrancy to maintain your hair color so that it can last longer between applications. 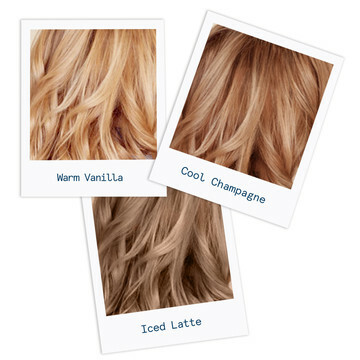 The Balance category helps neutralize unwanted tones while also making your color last longer. How do I use it? And how often? It’s easy! 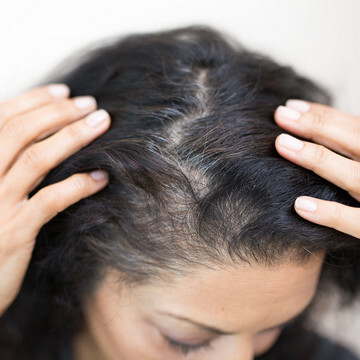 Think of Tint Rinse as a post-poo treatment, used after shampooing, and before conditioning. Simply wash your hair with your favorite color-safe shampoo, rinse, and add Tint Rinse. Keep in mind, Tint Rinse can get bubbly very quickly. This lather helps spread the treatment around so that you can evenly saturate and easily pigment your hair. We recommend that you apply it throughout your hair using flat hands, instead of scrubbing it with your fingertips. To avoid uneven patches, be sure to evenly coat the hair because the pigments are pretty strong. If you want your color results to be softer, feel free to dilute the treatment by only using half of what you ordinarily would and getting your hair extra wet while spreading throughout. Let it sit 2-3 minutes, and then rinse out and follow with your favorite color-safe conditioner! We recommend using Tint Rinse every-other shampoo. If you use it every time you shampoo, you run the risk of causing pigment build-up, which could feel a bit sticky and be hard to remove. By rotating Tint Rinse into your routine every-other wash, you can be sure you’re not over saturating your color while maintaining vibrancy. When finding your shade, your gut inclination may be to match your hair color with the swatch on the packaging, but Tint Rinse works a bit differently. Depending on your color needs, the Tint Rinse formula you choose may actually be the opposite color of your hair. Remember when you learned about the color wheel back in 3rd grade? Well if you were too busy doodling, here’s a quick recap: colors have opposites! The best example is purple and yellow—if you have blonde hair that looks a bit brassy, add a purple pigmented treatment (aka the opposite color of blonde) to “neutralize” your shade. Need help deciding which shade is right for you? If you are a current eSalon client, simply log in to your account and visit the Tint Rinse page—your colorist has pre-recommended a color just for you! Not a client? Email us at help@eSalon.com with the subject line “Help me find my Tint Rinse shade” (bonus points if you add a picture) and one of our colorists will get back to you ASAP with a recommendation. What else can I do with Tint Rinse? One of the many reasons we love Tint Rinse is because it is so versatile. 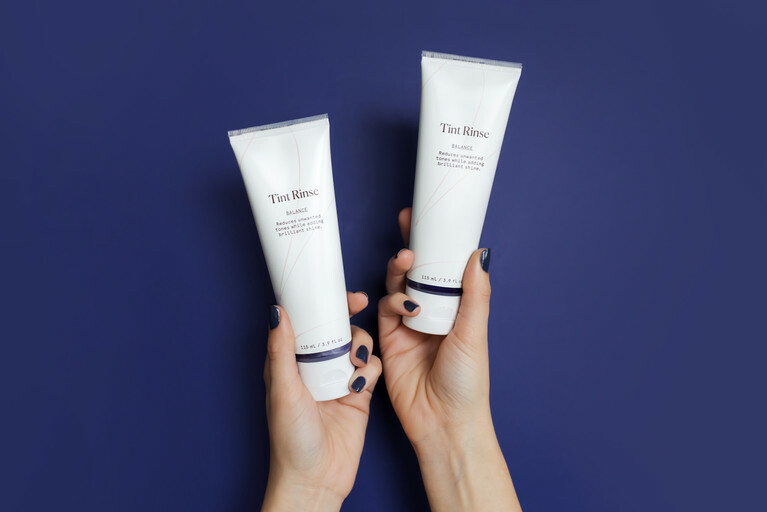 Even if you don’t color your hair, Tint Rinse can boost your natural shade and is a fun way to try a soft, natural color shift that’s temporary and safe to use. Have blonde or light brown hair? You’ll especially love how you can play around with Tint Rinse in Purple, to give your hair a fun purplish-pink shade that will rinse out after about 3 weeks. We’re also big fans of mixing two Tint Rinses together. Folks with lighter hair can combine Warm Beige and Red together to get a lovely pearlish-pink. Folks with brunette hair can mix Light Brown and Red together for tinge of chocolate cherry in their shade. Golden and Copper can be mixed together and applied to any shade for a subtle kiss strawberry. The possibilities are endless and so much fun to play around with! Tint Rinse is our best-selling client favorite for a good reason. It’s easy to use, smells great, and is super versatile. But the number one reason people use Tint Rinse is to keep their hair color looking as brilliant as the day they dyed it. Salon-approved, vibrancy guaranteed.